3 Rolls per pack of decorative Washi Tape, each roll approx 9.75 metres (32 ft). 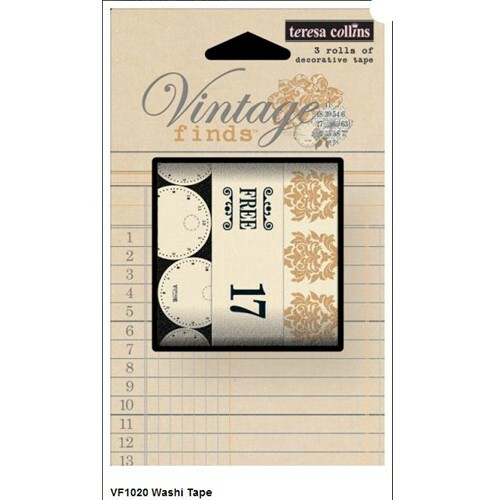 2 rolls approx 15mm wide (clocks, orange brocade), 1 roll approx 20mm wide (numbers). Can be repositioned and is acid free.